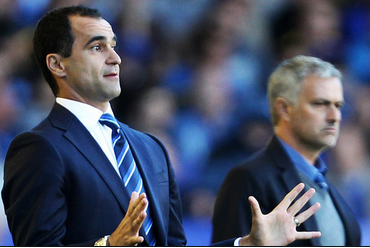 Chelsea vs Everton match ended with 1-0 scoreline in English Premier League 2015. Willian's dramatic late winner ensures the Blues remain seven points clear atop the Premier League table. The lack of goals is hardly a reflection of the match itself, which was spirited and open throughout. Chelsea were kept out time and time again by Tim Howard, before Romelu Lukaku was denied a sure goal by the foot of Petr Cech, keeping the game scoreless. Full Time Score : Chelsea 1-0 Everton.